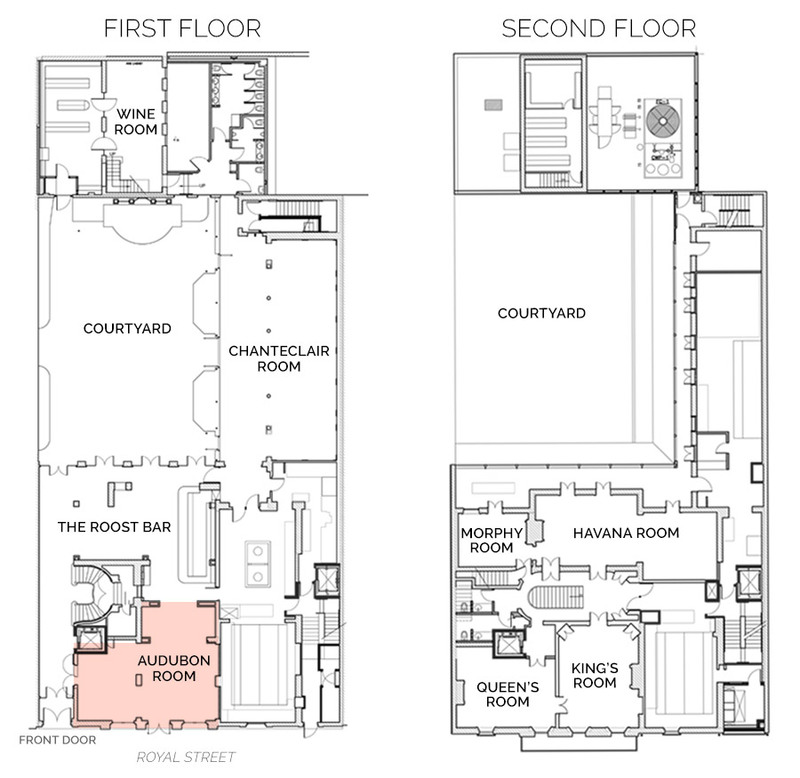 Just to the right of the entrance awaits the Audubon Room, an exuberantly bright and airy dining area. Formerly a kitchen with its windows covered, the room has custom-milled versions of the originals that peer out to the bustling French Quarter. Walls of peach colored plaster lined with dozens of whimsical oyster plates and tropical Cuban patterned tile floors frame the room. 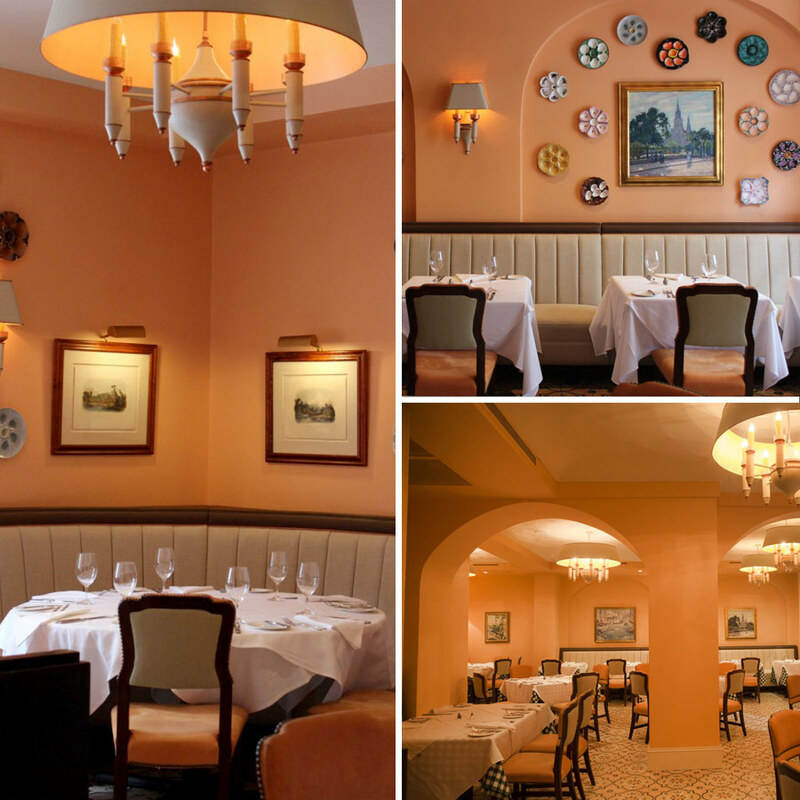 Bouillotte tole chandeliers and upholstered Parisian-style restaurant chairs honor the French heritage of both the city and the cuisine of Brennan's. Executive Chef Slade Rushing “Best Chef: South Finalist"